Do you give your dogs and cats probiotics and vitamins? 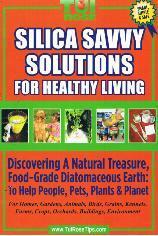 I have always said that diatomaceous earth (DE) is good for every one and everything. Not only is diatomaceous earth good for our health.. but it is also wonderful to keep our pets healthy too….. adding a bit more to the DE makes it even better. When giving your dogs and cats DE please keep in mind that you should follow the EXACT same procedure when giving your pets DE as you do yourself…. YOU START OUT SLOWLY…. SLOWLY increasing the amount that you give your pets. Always being very sure that you offer lots and lots of fresh clean water…..
We talk a lot about the wonderful benefits of using diatomaceous earth for ourselves.. and it is also good for your dogs and our cats… as well as the many other critters. Those that can be found on a farm and those in the wild too. I have a wildlife re-habilitator that uses DE on many of the sick and injured animals that she gets in. 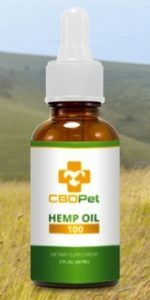 Earth Works Health has a new product that is made especially for dogs and cats. It is 90% DE but the other 10% contains several nutrients to enhance the health of your dog or cat. They have added the probiotic Lactobacillus Acidophilus, Digestive Enzymes, Yeast Culture, Multi-Vitamins and Chelated Trace Minerals. This product is called Pro Pet Powder. In this 1 pound container of Pro Pet Powder there are approximately 120 tablespoons. If you have a large dog and are using a tablespoon a day, this is a 4 month supply. Another fact is if feeding to a cat or small dog, this is up to a years supply! There is a scoop included in the package. Compare this product to other big name brands at half the cost! Pro Pet Powder is a specialty pet product you can find out more by clicking here…… Also on that page check out the Natural Dog Treats made using DE. A good use for horse poop! When you live on a farm your bound to have poop from your animals. I am sure many of you know that cow poop or manure makes a wonderful fertilizer…. Collecting and spreading the manure around not only helps with the disposals of it but it seeps back into the ground to add value to the soil. But what about horse poop or manure? Although there is a wide range of weights among horses depending on the breed, an average adult riding horse weighs approximately 900 – 1,100 pounds. A horse that size produces around 8 to 9 tons; or between 16,000 and 18,000 pounds of manure every year. That’s a lot of horse manure. What is done with that manure? One option for disposal is to haul it to a landfill site, but that is not an eco-friendly option and some landfills will not accept horse manure. The best option is to spread the horse manure on land so it decomposes quickly, or to compost it and then use it to improve soil quality. One problem with using horse manure to fertilize ground is that many people use sawdust or wood chips as bedding in horse stalls. When the stalls are cleaned, the dirty sawdust or wood chips as well as the manure are removed. 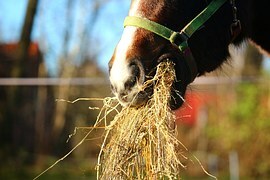 While the horse manure itself is a good fertilizer, the sawdust and wood chips are not crop friendly. That’s because when wood breaks down in the soil a nitrogen deficiency occurs, which stunts the growth of crops. To combat this problem, a nitrogen fertilizer can be added to the soil after horse manure is spread on it; or a nitrogen fertilizer can be added to the horse manure and sawdust or wood shavings mixture before being added to the soil. To make a compost pile with horse manure as one of the components, layer it with green compost items. Many experts suggest alternating layers of brown and green compost items because you need sources of both carbon (brown items) and nitrogen (green items) in your compost pile. Brown items such as horse manure, wood chips, and sawdust are great sources of carbon. A few good sources of nitrogen (the green items) for a compost pile include: green leaves, fresh grass clippings, the scraps from raw fruits and vegetables, and coffee grounds. Yes, coffee grounds are brown, but for the purposes of compost they are considered a green item because they provide the compost pile with nitrogen. Because the compost pile is a living thing, it needs water and air to thrive. Your compost pile should be turned each week, adding water as needed to keep the compost pile damp. You’ll know the process of breaking down has completed when the compost material is dark and crumbly and fresh smelling. Once the horse manure and other materials have turned into the “black gold” I mentioned a little earlier in this article, it’s finally time to put the black gold to good use. While compost isn’t officially considered a fertilizer, it contains nutrients that are great for plants and soil. Some good ways to use your horse manure compost are: as mulch for garden plants and around landscaping; as a soil improvement component for sandy soil; as a soil improvement for clay soil; and as a material to help control erosion. Now you know that horse manure, that smelly waste product from a beloved animal, is a useful by product that is environmentally friendly. Here is a site about The Business & Biology Of Raising Composting Worms.. I found it a great addition to this post. This is a great video to give you some ideas about many different designs of chicken coops. Many people are now raising chickens in their backyards… so they need a place to house them. You need to have a house built for your birds before you bring home your flock. Our dogs LOVE to ride in the car so hubby and I like to drive around in the county with our dogs in the back of the car. As we drive around I like to look at the old farm houses. The ones I like the best are the ones that have lots of outbuildings. Most of these farm houses are old.. many of the outbuilding are falling down, I don’t mind…. I can just imagine what those buildings were used for years ago. In our travels we have seen all shapes and sizes of outbuildings. I have come across a great site that offers all sorts of plans for many different shapes and sizes of outbuilding. Buildings from chicken coops to play houses. Buildings to house horses and sheds. This site also has an entire section of garage plans. Lots of designs to choose from… I would like one of each if I had the room…. But I think I will start with the one they call the playhouse and move on from there…. What is your favorite design? More and more people are keeping chickens in their backyards. As long as their is no city ordinance against doing so people are finding that is a fun thing to do. People are keeping chickens in their backyards for many different reasons. Some want a source of fresh eggs.. others may just like to watch them. I find them fascinating! I for one have always loved the idea of keeping chickens in the backyard. Chickens don’t really require a lot of space though they do need a sheltered area. Keep in mind if you live in an area that is cold in the winter months… you really should plan of providing some type of heat for them when it is cold. Of course you will want to provide them with plenty of fresh water and good food…you can also add diatomaceous earth (DE) to their feed. Offering your chickens DE in their feed will keep the internal parasites at bay. Chickens love to take dirt baths. You can see them rolling around in the dirt.. kicking up the dirt with their feet and flapping their wings so that the dirt will get ALL over every inch of their bodies… When they have had enough they will stand up and shake themselves off, and strut away as if they have on a new outfit! This dusting area would be the perfect spot to add de freely. When the chickens get into take their dust bath the added de will get down on their skin filtering through their feathers. The best part is.. it will stay there, helping to keep them pest free. Some people like to keep chickens as 4H projects for their children. Some like to have their own fresh egg source, others just like the idea of having chickens walking around their backyard… that would be us. We adopted a couple of girls that were no longer producing eggs.. they were headed to the farmers stew pot but we intercepted and brought them home to live out their lives hunting for bugs and worms in our backyard. They were delightful girls, we got a great deal of pleasure out of watching them. If I had my way…. I would have the chickens in the house. BUT…. hubby seems to have a different idea on that subject. There is just something about chickens that I find fascinating. Doesn’t Keeping Chickens sounds like a fun project…..? 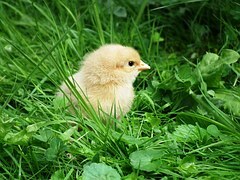 The soft cooing of the hens… scurrying and scratching at the dirt, looking for bugs and worms. I think I could watch them all day. The boys can get a little noisy at times but them most boys can be like that. You need the proper house for Keeping Chickens… and I would of course recommend having diatomaceous earth on hand to keep them healthy both inside and out. Before you get your chickens you should decide about housing for them. Building the proper kind of house will be very important not only to you but also to your new brood. But…. Where do you start? What do you need to know about housing chickens. All of those questions and many more will be answered in this book Collection Of Chicken Coop Plans. 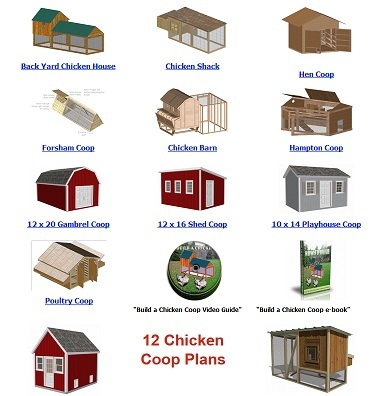 Collection Of Chicken Coop Plans offers 10 Chicken Coop Plans. I am sure that you will be able to find one that is just right for your yard and your location. Use a coop design ‘As Is’ or just pick and choose the ideas you like from the collection to build your own ‘poultry palace’. It’s true, you can save hundreds of dollars by building your coop – and sometimes build one almost for free if you use reclaimed materials – but this isn’t just about saving money by building your own coop, it is also about building the coop you want to have in your backyard, the way you want it. I posted about chickens in my house before, but this Hen Holster brings new meaning to the words.. Chickens in the house. I had several chickens in the past that I would of loved to bring into the house but knowing the kind of mess that they can make I always put that idea quickly out of my head. But check this out and tell me if you don’t think this is the greatest thing to be able to actually have chickens in the house. You can read more about this Hen Holster at their web site. Let me tell you about a little hen we use to have. Now mind you I am a cat and dog person but the neighbors had penned up chicken and one day let them go. Naturally they came to my house. We have a cat door for our many cats, and we have dogs as well. Our cats can come and go as they please through the cat door. We often get strangers that manage to come in and some never leave. But that is another story. When you have cats you must have litter boxes. The 5 I have located through out the house all have covers on them. One is in my bedroom. This particular little box is very rarely used. It is off in a dark corner. So imagine my surprise when I lifted the cover to scoop I find a beautiful blue egg. My little aracana found this perfect spot to lay her eggs. Now mind you, this little girl would have had to navigate the cat door. AND… gotten by the dogs. So the fact that she got in, looked around and found this spot is simply fascinating to me. What harm could she do? Everyday she added to her clutch. After about 20 eggs were laid it was time to sit. In the middle of the night you could hear the litter gently being moved, she was a good mother stirring the eggs ever so often. Once a day she would sneak out of the house to eat, drink and poop, then sneak back in. Never did she make a mess. Weeks later in the middle of the night the babies started hatching I could hear the little darling peeping. I waited a day to make sure that all had hatched and then picked up the entire litter box and moved it outside to a waiting pen.